Syria’s civil war has taken vast tolls on the land and its people. 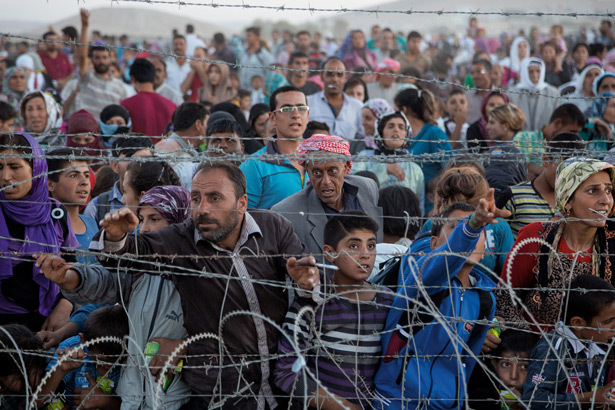 Hundreds of thousands have been killed and millions more have been displaced from their homes; the current estimates are that nearly 4 million people are now refugees because of the violence taking place in the region. The homeless Syrians have fled to neighboring countries, and so far Europe has received a total of over 700,000 asylum applications. This leaves nations with the difficult dilemma of what exactly is to be done with all of these refugees and how to solve the humanitarian crisis that is currently taking place. Many solutions have been proposed, some far-fetched and some potentially reasonable. Here are 8 tentative scenarios that have been put forth. The European Commission has been constantly working on deciding which actions to take in response to the enormous number of refugees flooding into the European Union. The different countries have been taking opposing stances on whether or not they want to let asylum seekers into their borders, making coming up with solutions extremely difficult. The commission has developed plans to redistribute incoming refugees, force some countries to take in migrants, and strengthen border control, all with mixed results so far.